12 teams head to Porirua this weekend (June 4-6), all with a chance of getting their hands on a piece of WBC silverware. The top six and bottom six teams were decided over 11 rounds of play at the two previous tournaments. The records are now wiped clean enabling all teams to have an even chance of competing for a trophy. The top six teams are competing for the Women’s Basketball Championship and the remaining six teams the Plate competition. Pool A in the Championship is made up of Waikato Wizards, Proband Nelson Sparks and Harbour Breeze. Oceana Gold Rush Otago, NZ Home Loans Canterbury Wildcats and Auckland Counties Manukau Lady Hawks will contest Pool B.
Otago and Waikato were the most impressive two teams during the regular season rounds, both compiling 10-1 records. The Wizards have lost the services of guards Kendell Heremaia and Krystal Leger-Walker, bot away on international duty attending the FIBA 3 on 3 Under 18 World Championships in Hungary. However with quality players like Rhaiah Spooner-Knight, back from Utah Valley Wolverines, in their line up expect them to progress to the semi-finals. Harbour Breeze will also be without young point guard Tiarne Clarke who is also away with the New Zealand 3 on 3 team. Her place will be taken by Brooke Blair who arrived back in NZ this week after completing her second year at Northeastern Junior College, Colarado where she averaged 11.7pts and 4.5 rebounds for the Plainsmen. Blair will head to Idaho State University next season. Nelson Sparks round out the teams in Pool one. The Sparks have a very settled lineup spearheaded by Tall Fern Jess Bygate who is averaging 16 points a game in the competition. Along with seasoned campaigners Kat Jones and Nikki Rampton the Sparks appear to have a team capable of repeating their championship triumph of 2012. Otago, led by Jillian Harmon and Samara Gallaher, will start as favourites in Pool 2. Collectively the two Tall Ferns forwards are averaging 30 points a game, they’re continued good form key to the success of the Gold Rush. ACM Lady Hawks were the final qualifiers for a top six finish with a 6-5 record. But boosted by the arrival of Kalani Purcell, to play alongside older sister Hailey, the Hawks immediately become strong contenders. Kalani’s two year stint at Hutchinson Junior College, Kansas, received a crowning achievement when she was named an NJCAA Division 1 Womens Basketball first team All-American. The most decorated player in Blue Dragon history average 16 points and 11 rebounds for HJC. Canterbury Wildcats complete the line up in Pool two. Due to an unfortunate injury the Wildcats lost the services of influential point guard Shea Crotty in game one of the previous tournament in Christchurch. The Wildcats still emerged with an impressive 8-3 record and have plenty of depth with the likes of Connnie Poletti, Darcy Rose and Laken Wairau. However Wildcats coach Lori McDaniel knows they are a stronger side with Crotty at the helm. Having missed out on a place in the Championship section on count back the Capital Flyers will be optimistic about their chances of securing the Plate title. If Stella Beck returns from St Mary’s College to play alongside the impressive Tegan Graham and Beks van Kuyk (both averaging 14 points per game this season) the Flyers chances will be improved considerably. Tauranga City Coasters and Rotorua Lady Vols will join the Flyers in Pool 1 of the Plate competition. The Coasters will have to make up for the loss of Kelcy Ballantyne, also away on NZ U18 international duty. Replacing Ballantyne’s 12.5points and 9.0 rebounds per game will be extremely difficult but in Georgina Richards (12.7ppg) and Mikayla Daysh (14.8ppg) they have a pair of players capable of carrying the load. Awatea Leach has averaged 12.5 points per game for the Rotorua Lady Vols. The Vols will need their leading player to be at her best if they are to overcome the Coasters or the Flyers. Waitakere Lady Rangers are the highest seeded team in Pool 2 of the Plate. Guard Moengaroa Subritzky was a standout in the Christchurch tournament averaging a heady 17 points per game. Young Katelin Noyer also had some good moments but she will be helped greatly if fellow forward Natasha Hall recovers from the leg injury that sidelined her in the last tournament. It is unclear if Bartercard Taranaki Thunder will have the services of Amber Bellringer this week. 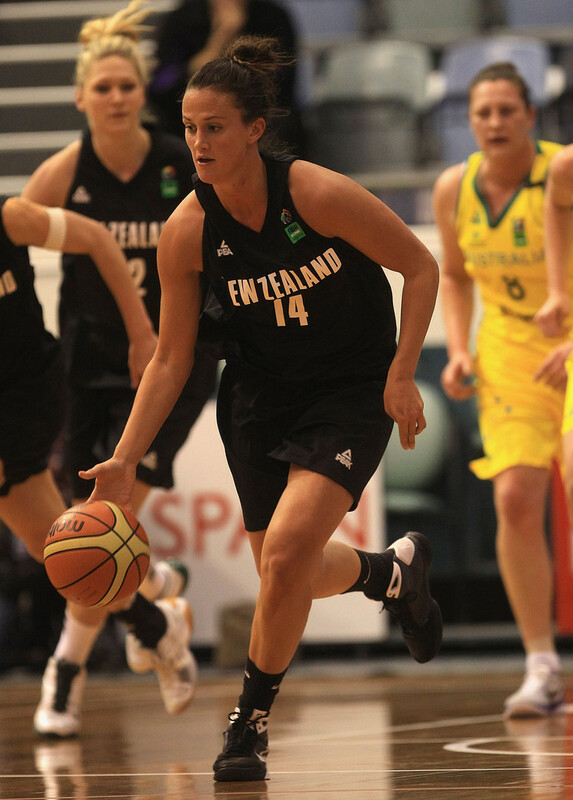 She averaged a double double of 16 points and 10 rebounds in tournament one but was absent in Christchurch. Without her, a great deal of responsibility will fall on the shoulders of the experienced Zoe Kensington. Prior to the last tournament Waikato Wizards head coach Tyler Wilkinson was extremely enthusiastic about the 2015 WBC season. Regardless of the outcome this weekend, all players and officials involved would echo her sentiments.